Gweltaz Hervé started playing music with the Scottish bagpipes at the age of 8 years with Christian Méhat. 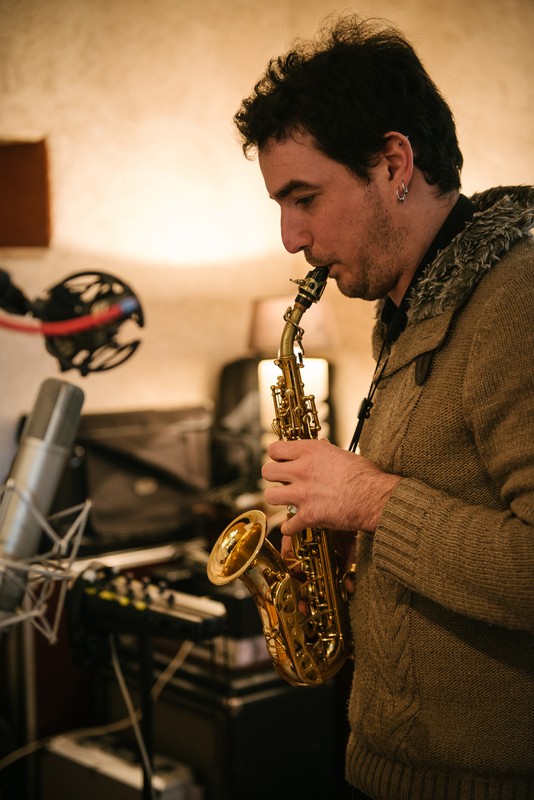 He began the saxophone four years later with Pierre Delamarre at the Saint-Nazaire Music School and then with Joel Hérissé at the Conservatory of Nantes. Through these studies at those conservatories, Gweltaz got several musical degrees in Traditional Music and Classical saxophone, be-fore turning more recently to Jazz. He multiplied the musical encounters with musicians from different backgrounds (Jazz, Cuban music…) and participated in a creation with the Gnawa festival Agadir for the World festival « Les Esca-les », which will be exported to Morocco. He also met avant-garde musicians of Traditional Music as François Robin, or Ronan Le Gourierec, who will inspire in his musical sphere. He currently plays in various formations as Esquisse, Les Trom-pettes du Mozambique, the Bagad of Saint Nazaire, Vincendeau-Felder Quartet, XXCeltes, Blowing Thrill, or Colunia.